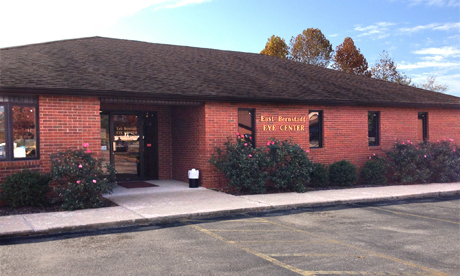 East Bernstadt Eye Center is the leading eye care provider in the area. With a great doctor, a great support staff, great prices, and modern technology, you can trust your eyes to Dr. Teresa Morton. At East Bernstadt Eye Center, we care about your eye health, which is why we strive to provide you with the most up-to-date technology in the eye care industry. East Bernstadt Eye Center specializes in contact lens fitting and products. We carry all major brands including hard-to-fit prescriptions. Our staff is dedicated to ensure you have the best care in finding the right contact lens for you or your family. We carry Cooper, Vistakan, Alcon-Ciba, Bausch and Lomb, and all RGP Gas permeable Lens materials. We specialize in and highly recommend Essilor Products; Varilux, Crizal, Transitions; All Lens brands and materials are available. Frames: Oakley, Candies, Bongo, Jessica McClintock, Elle, Dana Buchman, Tura, Lilly Pulitzer, Rampage, Ellen Tracy, Coach, Vera Wang, Jimmy Choo, D&G, Guess, Emporio Armani, Gant, Banana Republic, Ted Baker, Charmant Pure Titanium, Cinzia, DKNY, Lacoste, Michael Ryen, Ray Ban, Bobbi Brown, Wiley X, Liberty Sports Goggles, Harley Davidson, Sketchers, Polo, Esprit, Chesterfield, Puma Izod TitanFlex, Flexon, Timex. Sunglasses: Ray Ban, Wiley X, Oakley, Puma, D&G, Harley Davidson, Ralph Lauren and many more! Click on the image below to download the forms. Please DO NOT EMAIL forms to the office due to security reasons. 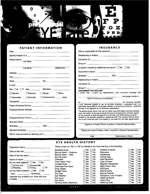 Bring forms with you to your appointment or postal mail the forms to: East Bernstadt Eye Center, 2647 N US Hwy 25, East Bernstadt, KY 40729. 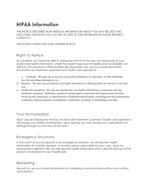 Contact our office directly by calling 1-800-962-6282, or send us a fax at 606-843-7243.